Currently, there is no standardized mechanism by which to determine dependencies in an IoT system. This article explores some example cases in which IoT sensors with this utility would be useful. Within the field of computer networking, there are examples of solutions that have been implemented to understand infrastructure dependencies. 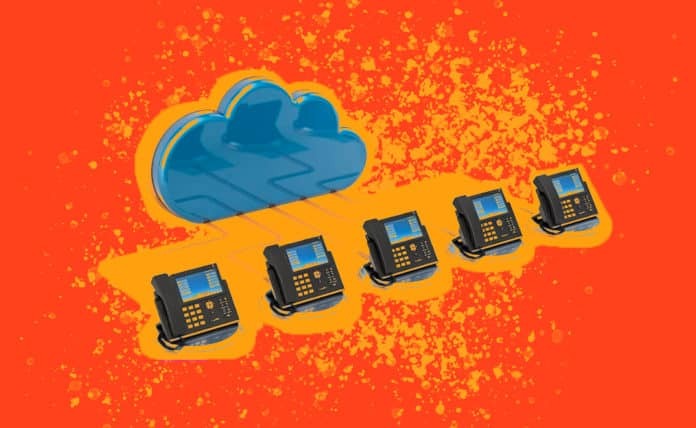 As an example, Voice over Internet Protocol (VoIP) phones and network switches can determine the precise point of connectivity using a protocol known as Link Layer Discovery Protocol, or LLDP. In the greater world of things, and especially in reference to the Internet of Things (IoT), such a nifty standardized mechanism to determine dependencies does not exist. Here we explore examples of where sensors with this embedded ability would be useful and would contribute to an overall better experience and greater reliability. Networking environments and those based on either Ethernet or WiFi derivatives extensively use the LLDP protocol to create topology and dependency maps. This results in the ability for a management system or operational platform to determine the dependencies of the networking kit on aggregation or distribution choke points. Thus, should there be a major incident at one of these choke points it’s possible to associate all the networking kit that is dependent on this choke point, which has now failed into a single incident instead of multiple confusing incidents. This dramatically reduces the workload for the restoration of service and is one of the key mechanisms in which root cause analysis is achieved in networking environments. With Ethernet, WiFi and even Bluetooth, each device has a unique identifier which also associates a range of addresses to a particular vendor or manufacturer via a standard maintained by the IEEE. This can assist in elementary categorization and even assist in determining the type of equipment deployed such as a laptop, access point, switch, server or even storage. The mining of this information from a networking kit forms the basis of validating any networking assets. It also provides the ability to identify rogue elements within a network and, in this manner, secure the environment. 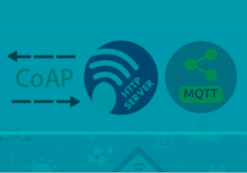 Within IoT, any platform would require a basic asset management system that uses unique identifiers to create an inventory of sensors and gateways. Obviously, the system used by networking can be assimilated, especially if the IoT devices are based on Ethernet, WiFi or Bluetooth. However, there are many proprietary solutions out in the wild and there is merit for even these solutions to transit an LLDP-type packet on a regular poll. This will identify which sensors are associated with which gateways and thus provide causation benefits similar to those obtained from a networking kit. An IoT platform is able to determine equipment related dependencies but also determine if there are rogue IoT units deployed within an environment. Currently, many solutions to secure a wireless IoT environment require frequency scanning, which is a more resource intensive mechanism and not necessarily effective. 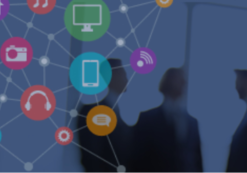 IoT is more than just determining the dependencies of sensors and gateways among each other. It’s also about the actual equipment dependencies. Until now, most electrical installations have relied upon wire diagrams and manual checklists to determine service availability and dependencies. In an electrical distribution network, protocols are now being implemented at a macro level to determine transmission dependencies Besides the electrical supply current, additional protocols are injected onto the transmission lines to provide identification and dependencies. Nothing, however, exists at the consumption or micro level. If power supplies installed in infrastructure had the ability to perform this function, then a single reader within a distribution board would be able to determine infrastructure and circuit dependencies. The cost of the electronics for this type of device identification within a power supply is low. In fact, the technology is already being used in split meters, but these devices don’t have programming for topology. The operational benefits are obvious, as a company would be able to determine circuit dependencies. For example, a grocery store would know what refrigeration units would fail if a particular circuit tripped! Currently, this is achieved in a visual manner with human intervention. Data centers have a similar system, but it’s architected in a different fashion. Servers are associated with intelligent switching power distribution units (PDU) that have server power supplies with a particular outlet on a PDU. Having increased intelligence in the power supply will lower the overall aggregated costs of power management within a data center as the PDU costs can be reduced as the need for a switching mode on the PDUs is negated. The examples mentioned here to build an IoT topology and dependency representation of things is small in relation to the greater potential such a scheme has with more use cases. These potentially exist within infrastructure, logistics, and operations. It answers the question not of what a thing does, but how that thing integrates into a platform and a wider ecosystem. Just as within a computer network, this is a crucial and mission critical function. Ron Bartels is a Contractor at Sun Advisory (Pty) Ltd. He is passionate about the use of emerging technologies such as software defined wide area networks (SDWAN) as well as the application of the Internet of Things (IoT) to resolve crucial business-related problems. 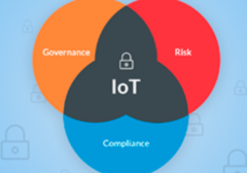 The Fundamentals of IoT Solutions, Risk and Regulations.